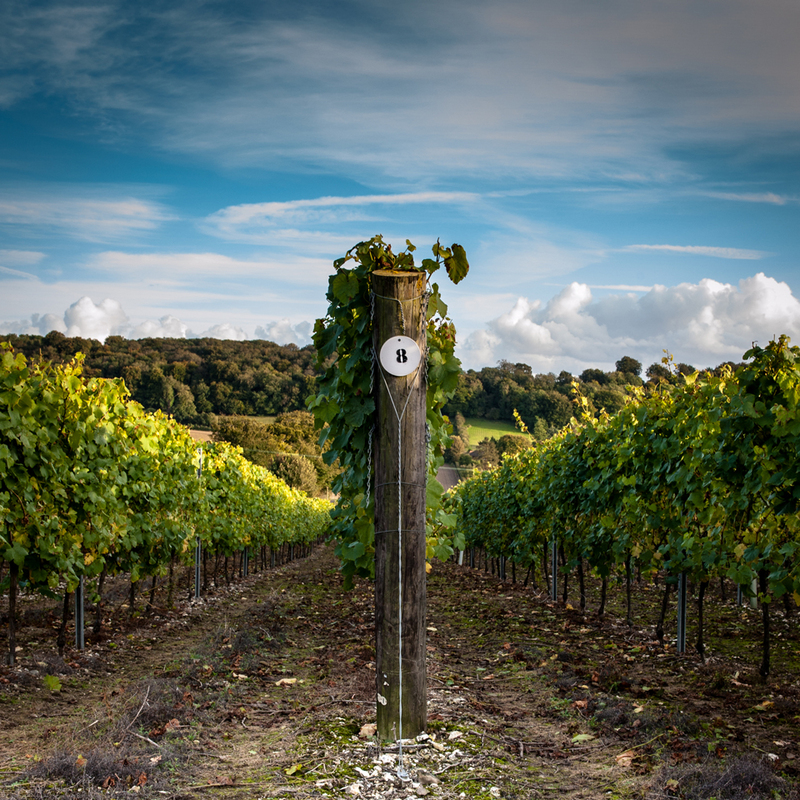 No longer the industry amateur, big names and deep pockets see to a boom in English wine, but the best is yet to come. By Chris Dixon, Matthew J. Thomas, Carol Sachs, The Electric Eye Photography. Courtesy of Hattingley, Digby Fine English, Camel Valley, Nyetimber and Hattingley Valley. The trouble with old friends is that they remember things. One said to me the other day, as I opened a bottle of Hambledon: “Ten years ago I mentioned English wine to you, and you said, ‘don’t bother’.” Okay, so I’m a late adopter. 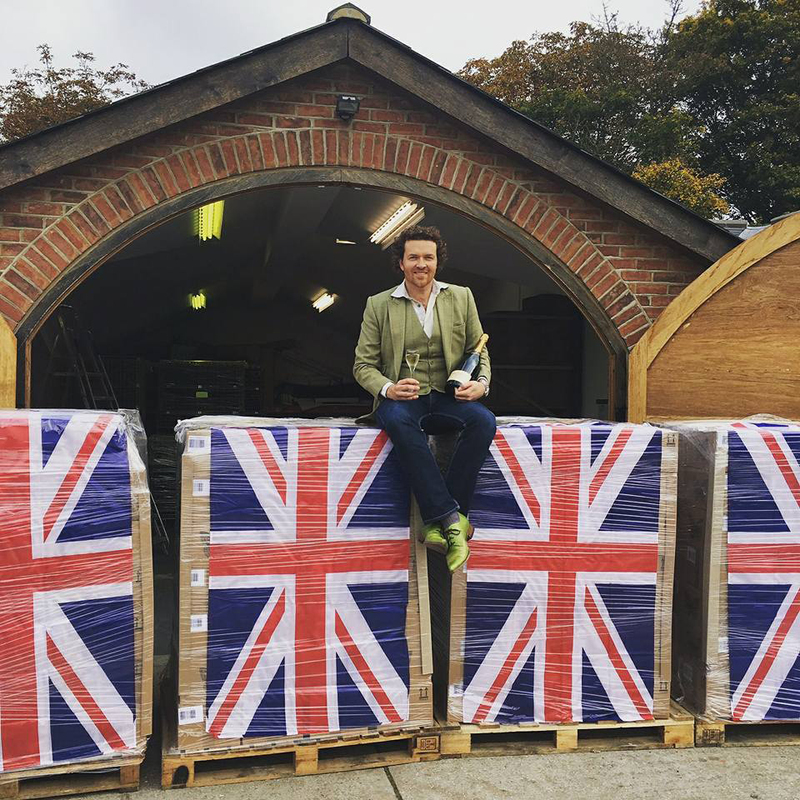 Ten years ago, where was English wine? A few stars were emerging: Nyetimber, Ridgeview, Breaky Bottom. It was moving away from still wine towards a new world of sparkling, and away from the conviction that only those rather depressing German crosses – bacchus, Ortega and their ilk – would ever ripen in a climate inclined to hand out late springs and damp summers. Well, fingers are still tightly crossed on the climate. The summer of 2018 was glorious: green meadows turned tawny as the sun shone for weeks on end. It probably won’t be like that again in 2019, though England’s wine producers won’t complain if it is. Instead they will point to the Medieval Warm Period (of, roughly, 950-1250) as evidence the English climate doesn’t have to be chilly, and sometimes hasn’t been. The Romans brought the vine to England and the English continued to grow and make wine in the Middle Ages – though to be fair we don’t know how good the wine was or needed to be. It was mostly grown by monasteries for sacramental and medicinal use; the aristocracy imported stuff for drinking from France and elsewhere. The monasteries were dissolved in the Reformation of the 16th century, and records were lost. It’s impossible to know now what vines they were growing, and not really relevant to the present: the climate changed, and changed again, and by the time a few 20th-century farmers thought of planting a few vines it was regarded as a harmless eccentricity; a cottage industry selling wines locally to people who mostly bought them as a novelty. If you’d made a packet of money and fancied making wine you’d have bought yourself a pretty little château in Bordeaux or the Loire, not Sussex or Hampshire. What a difference to now. Around 2005, plantings of the Champagne varieties – chardonnay, pinot noir, pinot meunier – began to rise and haven’t stopped since. Fizz has taken over from still wine as the focus. Sparkling wine needs a cool climate and doesn’t want too much ripeness, and once you throw a bit of climate change into the equation, to make the climate just a little less cool, sparkling wine in southern England looks like a no-brainer. Even so, chardonnay dominates English sparkling: it ripens more reliably than pinot. This is half the story. The other half is that serious money began to be invested in wine. I put it to Nicholas Coates, partner in Coates & Seely, that making sparkling wine was a rich man’s game, and he corrected me: “it’s a capital-intensive game”. English sparkling seems to need three years on the lees to round out enough to balance the high acidity; if you add to that cost the risk of a wipe-out frost or a wet summer that gives you no wine at all, plus the start-up costs of buying and planting land, and building and equipping a winery, you arrive at a need for very deep pockets indeed, for a long period. It’s the deep pockets that are leading the way now. 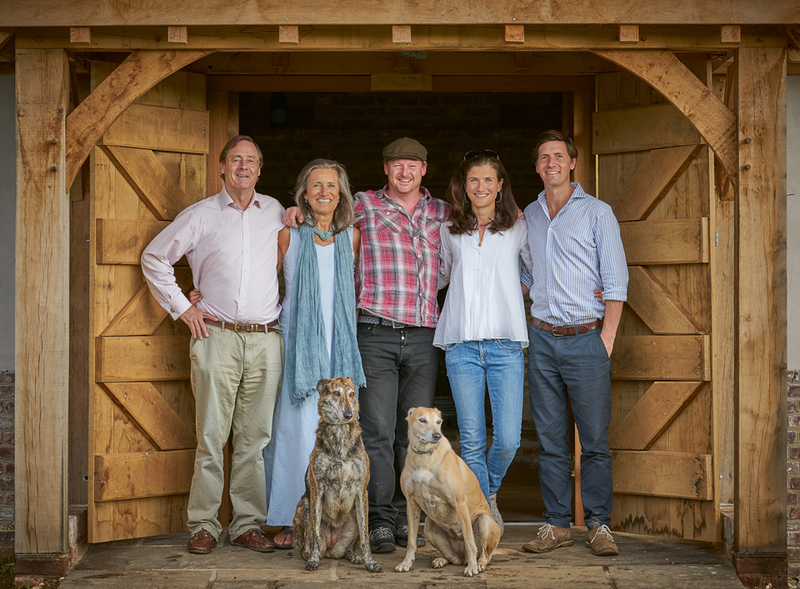 Today’s big names – Nyetimber, Rathfinny, Wiston, Coates & Seely, Exton Park, Hambledon – have poured in money, and to good effect. 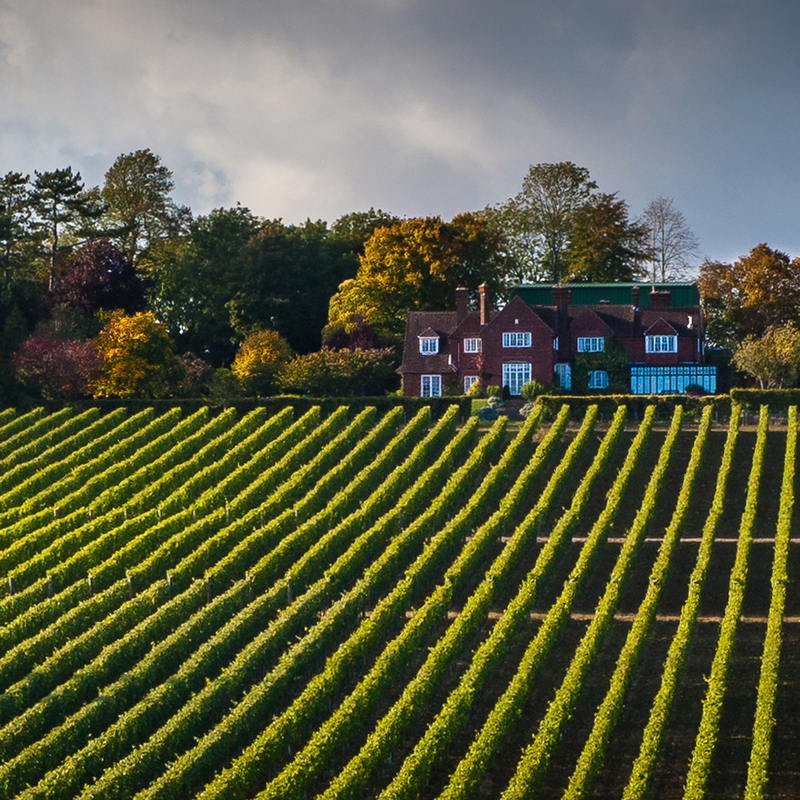 It’s no longer a surprise to see neat rows of vines defining the slope of an English hill, or to see English sparkling on a restaurant wine list. It’s still a fledgling industry compared to, say, Australia, but it’s no longer a cottage industry; it’s no longer amateur. So where is it? All over, is the short answer. You can find vineyards as far north as York, as far west as Cornwall, and as far east as the bulge of East Anglia. But the star vineyards, ones playing on an international stage, are in the south. A typical landscape would be undulating hills of grazing and arable land, with long shadows cast by woods and copses; perhaps a circle of trees on a hill; a manor house tucked into a fold with a huddle of farm buildings; a church spire or two. The vineyards are not necessarily easy to find – few are signposted, and the newer ones seem never to be. Rathfinny is easy: take the road known locally as the High and Over and the vineyard is on the right, announced clearly with some neat and imposing planting. Visit Wiston and you’ll find yourself at the foot of Chanctonbury Ring, a prehistoric hill fort. Simpsons vineyards abut the Saxon Shore, where the coastline was 1,500 years ago. But trying to find Breaky Bottom involves locating an unmarked farm track and following it up and down and around, dodging the worst of the ruts and finally plunging down into a valley towards a tiny, neatly hedged vineyard and a flint farmhouse, to be greeted by an amiable ram called George. “I call all my rams George,” says owner Peter Hall. Wine in England doesn’t feel like the continuation of an unbroken vinous way of life, as it does in France or Italy. Instead it feels like another chapter in an immensely long history of farming, of land use that has changed many times over the centuries and is changing again. Walk in the deep lanes and remote farmlands of the Weald of Kent and you have the feeling the land has been inhabited for a very long time; that generation after generation has come and gone and driven sheep and pigs and cattle along these same tracks. On the bare, windswept East Sussex Downs there are dew ponds, built in the chalk from Neolithic times onwards. There are no streams up on the Downs, but people have lived and farmed here, endured the winters, waited for spring and watched the weather coming in from the sea, for millennia. Does this mean vines will grow anywhere in England? Well, no. Many farms will have a sheltered spot, warmer than its surroundings. When English wine began again in the 20th century it was in places like these. Major-General Sir Guy Salisbury-Jones was the pioneer, planting the slope beneath his house in Hambledon in 1951 for what became England’s first commercial vineyard. Bob Lindo had only sheep at Camel Valley in Cornwall until he realised how warm his south-facing hillside was. Consultant Stephen Skelton reckons vines will flourish where coloured apples flourish; that would rule out the highest, most exposed slopes of the Downs; the very slopes which Rathfinny has planted with chardonnay and pinot. Who is right? Rathfinny’s first releases are lovely: precise, elegant, ripe. But it wasn’t easy to get there. Owners Mark and Sarah Driver had to plant windbreaks, and then put up more windbreaks to protect the windbreaks: they’re just three or four miles from the English Channel. Climate is important in England, indeed, the late Mike Roberts, founder of Ridgeview, reckoned that it “trumps soil every time”. Which is odd, when you remember the publicly stated unique selling point of English sparkling wine has always been the chalk. It’s the same chalk that forms the hills of Champagne. The Downs extend from Kent, through open, windswept East Sussex, to wooded West Sussex and into Hampshire, where they recede further from the sea. We have the same chalk as Champagne, goes the refrain; of course we can make similar wines. Well, we do have the same chalk, and it has the same properties of water retention and drainage that it has in Champagne: one cubic metre of chalk can hold 660 litres of water, yet it drains very well. It’s just that most vineyards, even in those counties, aren’t on chalk. In Kent most planting is on green sandstone, or greensand, which is the layer under the chalk, revealed as the chalk has eroded. Greensand gives fruit and power; pinot especially seems to do better on greensand. Chalk can be austere in the English climate. Hush Heath is on Wealden clay over sand, and grows fine apples (and makes good cider) as well as grapes. “The best slopes on the Downs are nearly all north-facing,” says chalk fanatic Ian Kellett of Hambledon, and north-facing won’t help ripening. If what you seek is pure chalk, “only about 2% or 3% of the South Downs National Park is appropriate”. In Cornwall, Camel Valley grows its Champagne varieties on ancient slate soils. Coates & Seely in Hampshire has chalky clay very similar to parts of Champagne, with between 2.5% and 17% active chalk; at Exton there is nearly 30% active chalk. So while it’s clear that you don’t need chalk for good sparkling – look at Tasmania – in England there does seem to be a movement towards chalk. 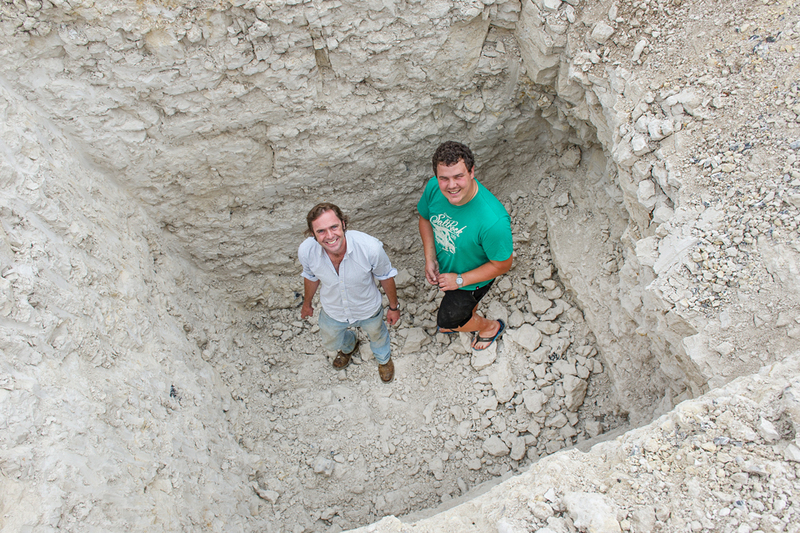 Nyetimber picked its first chalk vineyard in 2013; before that it was all on greensand. Winemaker Cherie Spriggs finds a difference in the acidity – not in quantity, because the analyses are the same, but in kind. It’s softer, more even on the palate, a more delicate line from start to finish; and now, every site they buy is chalk. This move to chalk feels like a consequence of the increasing professionalism of English wine: once you start investing large sums in buying land specifically for vines, you pick and choose. It’s no longer a question of finding a warm corner in land you already have. Are they imitating Champagne? Of course they are. If you want to learn the piano you go to somebody who knows what they’re doing. Your own style can emerge later. 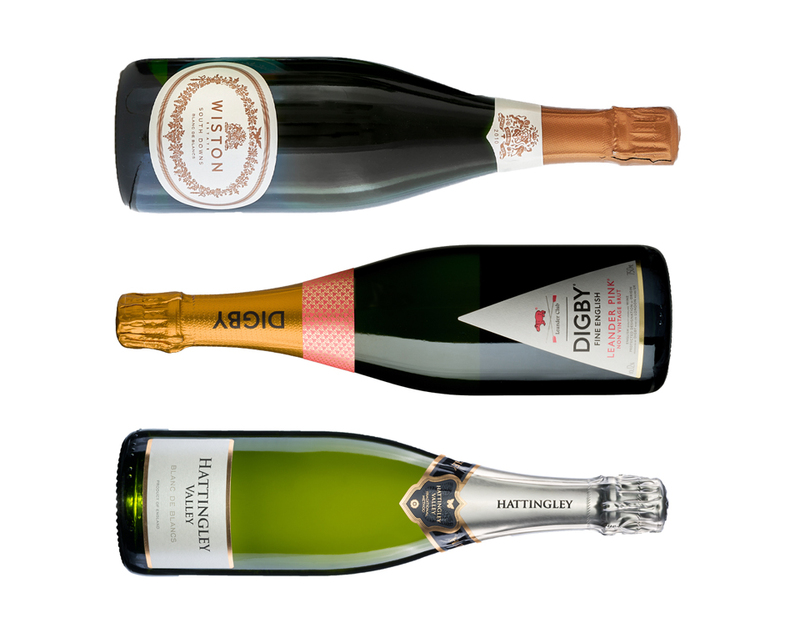 So far the style of English sparkling is defined by acidity – lots of it. Most are based on chardonnay, so there’s finesse and tension; plenty of elegance. They need, as I’ve said, plenty of time on the lees; that acidity, without balancing roundness, can be a bit much. 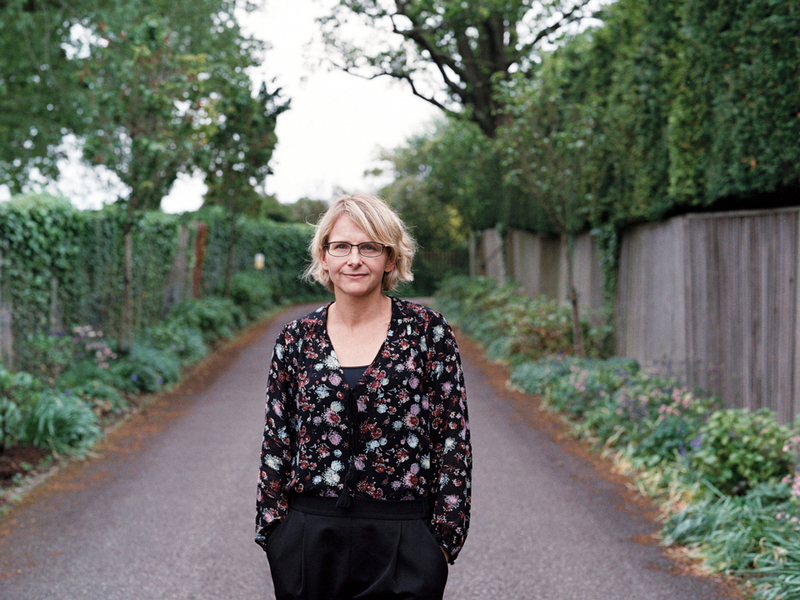 There’s a typically English note of hedgerow flowers, a freshness and airiness about the best wines. Dosage tends to be fairly low – you can’t balance acidity with sugar in that way. Increasing the dosage in an acidic wine just gives you something unbalanced. Time on the lees and in bottle is the answer. Time changes everything. Even opinions. The tourism offering is improving every year. Most have tasting rooms and some have restaurants. At many, though, visits are by appointment only and some receive visitors only on a limited number of days, so always check. Breaky Bottom (breakybottom.co.uk) is tiny, remote, long-established and even better than ever. It is the only vineyard that has ever convinced me still Seyval Blanc can be good; and in Peter Hall’s hands it was brilliant. Now he makes only sparkling wines, and his 2013 Seyval Blanc, Cuvée Sir Harry Kroto (all his wines are named after close friends) is all quince and citrus. Hall and his wife Christina are the most civilised, serene people you could hope to meet. Camel Valley (camelvalley.com) is one of England’s older-established producers, making fizz of fruit and elegance. Juicy rosé with perhaps a touch more dosage than some; pretty white. You will also find holiday cottages – well placed for lots of local attractions, like the Eden Project and the good restaurants of Padstow. Coates & Seely (coatesandseely.com) is a partnership between Christian Seely, the CEO of AXA Millésimes, and his old friend, financier Nicholas Coates. Vines are planted on Coates’ estate on the North Hampshire Downs. Firm, nutty Brut Reserve; pale, delicate, detailed rosé. They have coined the name ‘Britagne’ for English fizz, which does a very good job of winding up a lot of people, to their (one suspects) great enjoyment. No visits, but the wines have good distribution. 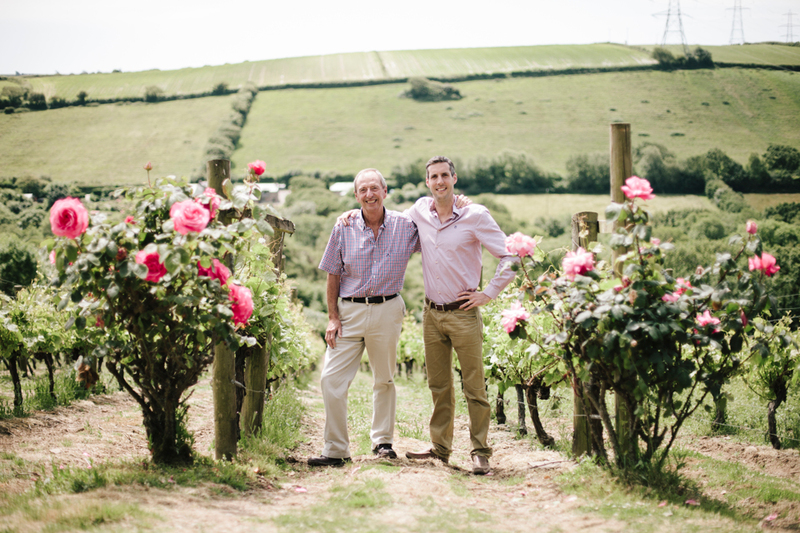 Digby Fine English (digby-fine-english.com) is a négociant, buying in grapes from several sources and making the wines at Wiston; Dermot Sugrue is the winemaker. Lovely well-aged wines, very stylish, especially Leander Pink. The tasting room is in Arundel, a town bearing a huge restored medieval castle and splendid gardens belonging to the Duke of Norfolk. Exton Park (extonparkvineyard.com) is another Hampshire vineyard, and again, not open for visits although they could take round larger groups by appointment. Or you could taste a selection at Oblix, a restaurant in London’s The Shard. Beautifully supple Blanc de Noirs and well-aged 2011 Blanc de Blancs. Gusbourne (gusbourne.com) has a good tasting room which serves local cheese and charcuterie, and fortnightly discovery tastings with such culinary pleasures as baked fig and prosciutto parcels with Gorgonzola cream. Good still chardonnay and pinot noir as well as fizz. Hambledon (hambledonvineyard.co.uk) does visits and events throughout the year; Hambledon village is also regarded as the cradle of cricket. Rich, ripe wines of lovely balance and finesse, under the guidance of Ian Kellett, who has invested lavishly and well. 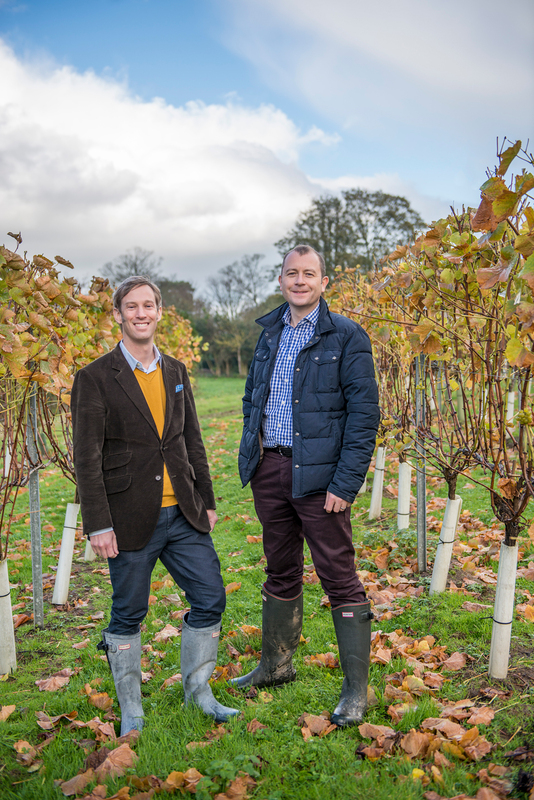 Hattingley Valley (hattingleyvalley.com) in Hampshire not only makes serious blanc de blancs and rosé under its own label, but the first fresh, savoury wines from Pommery England, made from bought-in grapes until its own vines come on stream. Tours and tastings by appointment. Hush Heath (hushheath.com) is an immaculate estate, with a good visitor centre. Take a summer evening tour and combine it with lunch or dinner at The Goudhurst Inn, under the same ownership. The Sparkling Rosé is the best wine. Good cider, too, from its own apples. 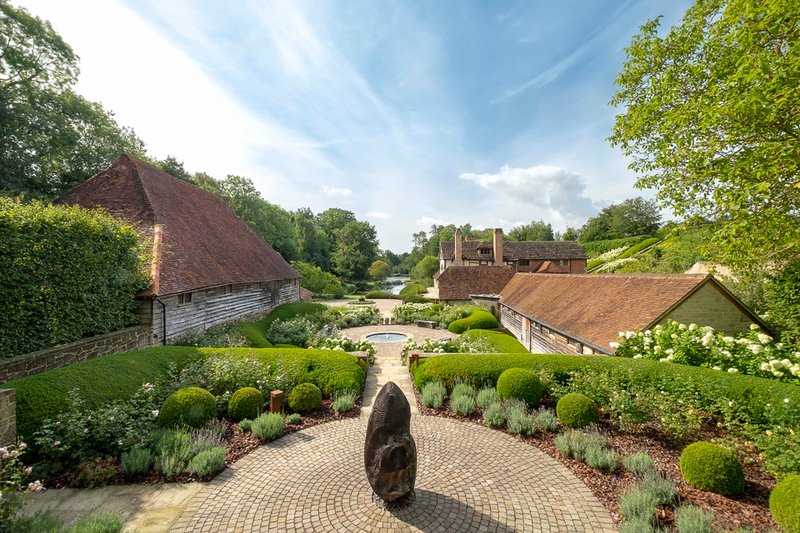 Nyetimber (nyetimber.com) is making beautiful wines, very accomplished, in West Sussex. Try the new 1086 (the year of the Domesday Book) prestige wines, or single-vineyard Tillington. This year, the Open Days will be held over five weekends – and it’s a heavenly place. Rathfinny (rathfinnyestate.com) released its first sparkling wines in 2018, and they were worth the wait. Taste also the still pinot blanc and pinot gris blend under the Cradle Valley label, very intense and pure. There’s a very good restaurant (pepper dulse and mushroom broth; local halibut and sea trout) and you can stay in their flint barns. On the South Downs, close to the sea; it’s a beautiful, hypnotic landscape. Ridgeview (ridgeview.co.uk) in East Sussex may not be at the very top of the tree but it’s close, just needing a touch more finesse to get there. The late Mike Roberts was a great driving force in English wine. There’s a very good tasting room, and the events look fun. Wiston (wistonestate.com) makes beautiful wines of great elegance and tension that need time in bottle. The 2010 Blanc de Blancs is superb. Tours and tastings by appointment. Wiston House itself is splendid but closed to visits. The winemaker is Dermot Sugrue, who also makes his own wine there: Sugrue Pierre (dermotsugrue.com). It’s exuberant, taut and complex. The George in Rye (thegeorgeinrye.com) is very comfortable, with great staff and very good food. Eat Jerusalem artichoke and parsnip soup, and local scallops (they’re keen on scallops in Rye) and read E.F. Benson’s Mapp and Lucia books for a comic and probably horribly accurate picture of life in Rye. The list of English wines is respectable, and Rye is handy for a visit to Gusbourne, and not too far from Hush Heath. Visit Henry James’ house (nationaltrust.org.uk/lamb-house) and have tea in the garden under the mulberry tree. Gravetye Manor (gravetyemanor.co.uk) is a good Sussex base and a well-established foodie destination. Local and seasonal ingredients are used for such dishes as duck with lavender-infused potato fondant, clementine and chicory, or cured chalk stream trout. The wine list is brilliant, both in its local offering and in names from all over the world. The rooms are luxurious: this is not a place to count the pennies. Ockenden Manor (hshotels.co.uk/ockenden-manor) is an Elizabethan manor house with a spa, croquet lawn, an indoor and outdoor pool and a natural spring, plus three hectares of gardens and very comfortable rooms. The restaurant has dishes like local pork four ways, or pumpkin soup with wild mushrooms on toast. Good walking, and handy for lots of vineyards; they can also arrange foodie outings like cheesemaking. Bailiffscourt (hshotels.co.uk/bailiffscourt), owned by the same company that owns Ockenden Manor, has 12 hectares of grounds, leading to the beach at Climping – a tiny, very pretty spot. The hotel has a spa, pools, a gym and tennis courts; the wine list has lots of Sussex wines and the food is splendid: Jerusalem artichoke and parmesan risotto, turbot with chorizo and tempura squid. The Goudhurst Inn (thegoudhurstinn.com) is a comfortable but less lavish option: modern rooms and good food (venison and redcurrant pie; pigeon breast and blackberries). The wine list features Hush Heath, since the ownership is the same. Lainston House (exclusive.co.uk/lainston-house) will make you very comfortable if you want to visit vineyards in Hampshire. It’s near Winchester and set in 25 hectares including a walled Victorian kitchen garden. Rooms are opulent and the wine list is long, though the English offering could be better.